If I Might Interject: Reflection on Factions "More Catholic Than the Pope." Reflection on Factions "More Catholic Than the Pope." 24 Since we have heard that some of our number [who went out] without any mandate from us have upset you with their teachings and disturbed your peace of mind, 25 we have with one accord decided to choose representatives and to send them to you along with our beloved Barnabas and Paul, 26 who have dedicated their lives to the name of our Lord Jesus Christ. (Acts15:24–26). The Catholic blogosphere has been going berserk during the extraordinary synod, as I mentioned in past articles, but I think this is only a symptom of a larger problem afflicting the Catholics trying to be faithful. The problem is that a certain faction of these Catholics have confused the essence of the Church with the accidents (in the sense of a property of a thing that is not essential to its nature) of the Church. The assumption is this: This faction assumes that its preferences are part of the doctrine of the Church. When the preferences of this faction are changed by the Church, it is assumed that the Church is changing doctrine. This is a dangerous attitude to take however. It assumes that the Church can err, while this faction cannot err, when it comes to determining truth. It’s as if everything Our Lord had to say about the authority of the Church and the role of Peter was meaningless, or became void at a certain point in history (usually presumed to be Vatican II). They tend to be vague on exactly when, and or to what extent error exists—perhaps because if they were specific, they would reveal their own denial of Catholic doctrine. If this faction kept to itself like a sect, they would only be a menace to itself. But the truth is, they give the appearance of being knowledgable, orthodox Catholics and there are many Catholics out there who want to live faithfully, but do not feel confident in their knowledge on how to live as a faithful Catholic. These Catholics look to this faction as a guide on how to practice the Catholic faith. The result is these seeking Catholics are deceived into thinking that the guidance from this faction is authentic Catholicism, when in fact it is Catholic belief mixed in with the preferences of their mentors. They succeed because there are people out there who do distort doctrine and try to change teaching. There are people who are public sinners and seem to suffer no ill effects from the Church. It’s pretty easy to insinuate that the reason they don’t seem to suffer consequences because there must be “sympathy” for their position. Essentially the real dissent is used as a “guilt by association." When you have such a distorted teaching, things tend to snowball. Every time the Church changes one of the practices, she is accused of being unfaithful to the Sacred Tradition of the Church. 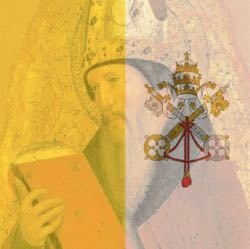 Before too long, you have a case where the teaching authority of the Pope and the bishops is seen as suspect and every time they make a decision, it is scrutinized for potential errors. This is essentially the problem I am seeing with the conservative Catholics in the English speaking regions of the world. The magisterium is being judged by a faction that is politically conservative and tends to equate political conservatism with Catholic teaching. When the Church teaching seems to “deviate” from the politically conservative, she is accused of betraying Sacred Tradition. The problem is, the Church has not changed her teaching, and has never betrayed the Scriptures nor Sacred Tradition. The Pope and bishops in communion with her have the authority to assess the Church teaching, making sure the teaching of Christ can be understood by each generation. So the authority and the responsibility falls on the magisterium. But, if the magisterium has the authority and responsibility, we have to trust that God has a role in preventing the Church from teaching error in matters pertaining to salvation. Otherwise, we could never know when the Church was teaching accurately and when she was not. For example, if Vatican II is considered suspect on whether it teaches error, we have no way of knowing that Vatican I or Trent was free of error. Once you understand this, the reaction to Pope Francis becomes obvious. We had gotten used to two European Popes who were academics. They were very similar in style, and were very effective on teaching the what we were called to do and why. They were succeeded by a Pope from a different continent and experience. Pope Francis did not teach differently than St. John Paul II and Benedict XVI. He merely shifted the emphasis to acting . . . taking the teachings of his predecessors as a given. There’s nothing in Pope Francis’ documents on social justice that wasn’t found in the writings of his predecessors. It’s just that he has a different style of presentation. Unfortunately, some people believe there is a break. In comparison to the public perception of St. John Paul II and Benedict XVI, Pope Francis is considered to be undignified. Because of course St. John Paul II and Benedict XVI never did anything undignified . . . The difference between Pope Francis and his predecessors is really . . . nothing more than the fact that his style is slightly more blunt. So, this is the issue with these factions. They are angry with the Church because they believe that the Church should behave differently than it does. They confuse their preferences with doctrine and end up suspecting the Pope of being a secret Marxist or a secret Modernist. They go out with no mandate from the Church and teach their preferences and suspicions as truth, and their error spreads to those who think they are correctly teaching the faith. The thing to remember is, Christ has had strong warnings for those who do these things.